"It hurts too much to get up. Can you help me please?" 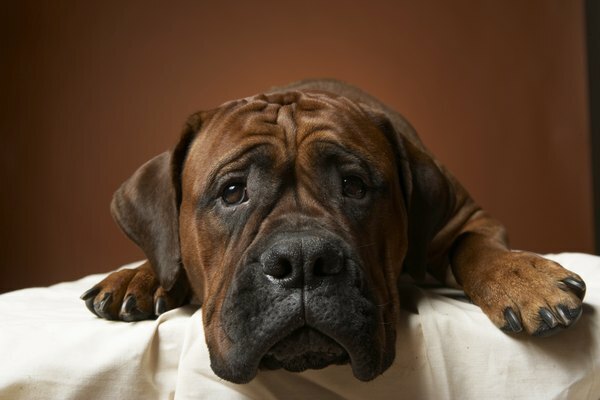 Arthritis takes its toll on humans and their canine companions alike. Stiff, swollen and inflamed joints limit mobility and leave your once-rambunctious pal struggling to get up or walk. Various assistive devices offer support to help get your dog moving while reducing strain on your back while assisting him. Harnesses come in a variety of options based on the needs and ability of your dog. A front harness supports the chest and front legs and works for dogs with arthritis in their front legs. For dog’s suffering with back-leg arthritis or weakness, a rear harness provides support to the hind legs. A total body harness supports both the chest, front and back legs. This is ideal for dogs who have arthritis in all limbs and need assistance getting up and walking. All harness varieties provide straps and handles to hold when assisting your pooch. Working similar to a harness, a sling offers full-body support for dogs with arthritis and leg weakness. A sling goes around the dog’s midsection, with handles at the top, and it allows you to help your dog support his body weight while walking. For dogs with back limb arthritis, a rear-end leash provides an option for support while still allowing regular walking movement. The leash goes around the dog’s back legs and over the back. Attach your regular dog leash to the loop and you are ready for a walk. Lifting slightly on the leash lifts the back end and, depending on how much you lift, reduces the amount of body weight on your dog's back legs. For dogs with arthritis in the carpal joints, or wrists, movement and walking can cause pain. Carpal wraps offer support to the arthritic joints and help reduce pain. For arthritic dogs, getting up is difficult. This is especially true on hardwood or tile surfaces that can cause even the most agile dog to slip. In this case, non-slip dog boots help to provide stability. If your dog will not keep boots on, non-slip fabric pads, attached with adhesive, can be applied to their natural pads. Can an Old Cat Get Hurt Jumping Down? Can Kittens Eat Adults' Food?